We had this tonight for dinner and it was delicious! I have to share it with you! 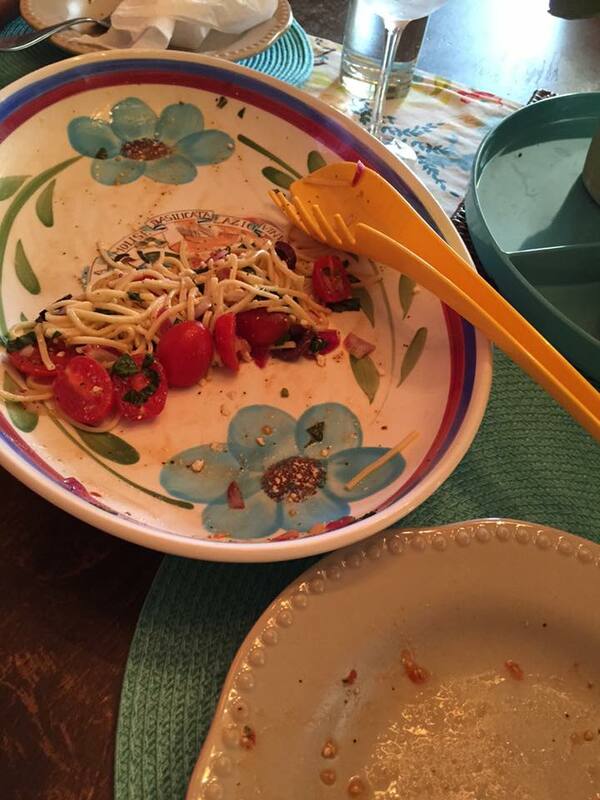 It’s a Greek themed super easy pasta that requires little work! 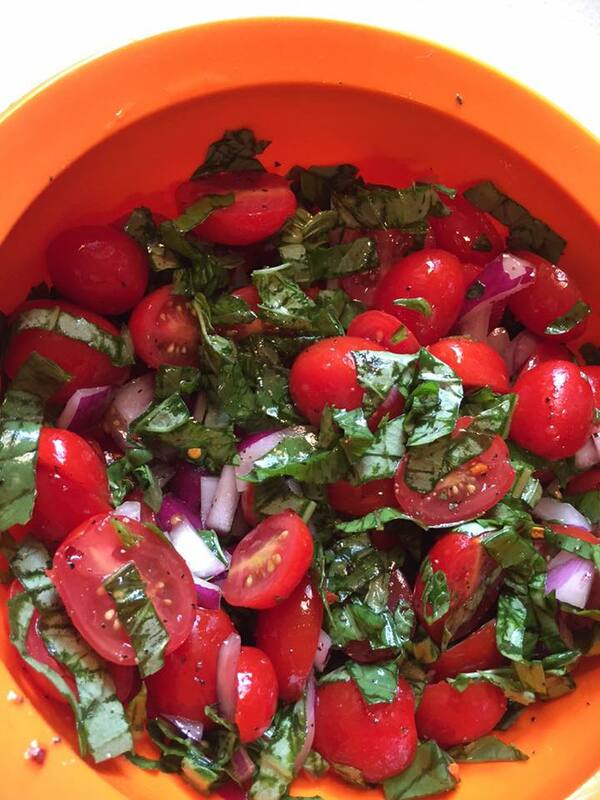 You will need tons of fresh cherry tomatoes and fresh basil! If you like kalamata olives and feta cheese then you are going to love this!! Mix the first eight ingredients together gently in a bowl, cover with clear wrap and leave on counter or a few hours. Cook the pasta when ready to eat then top with tomato basil mixture and lastly add the olives and feta, then serve. Makes about 3 to 4 servings. There are so many yummy combinations you could do with this! I will be making this or some version of it a lot this summer! 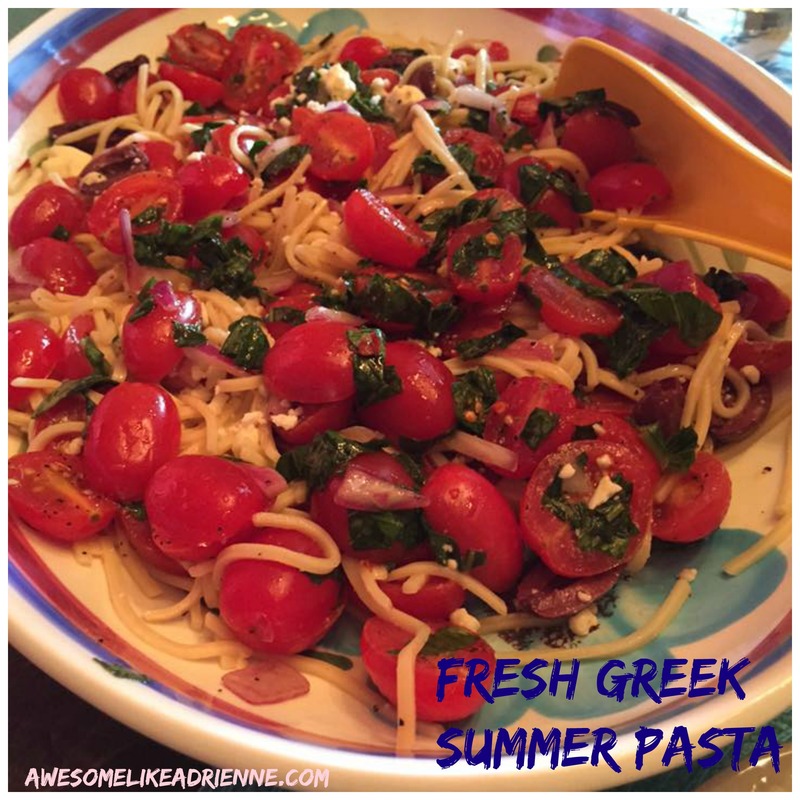 Posted on June 14, 2015 June 14, 2015 by awesomelikeadriennePosted in EatTagged basil, easy quick meals, greek pasta, pasta, summer pasta, tomatoes. Thanks. It was great to hear from you. I will try this.